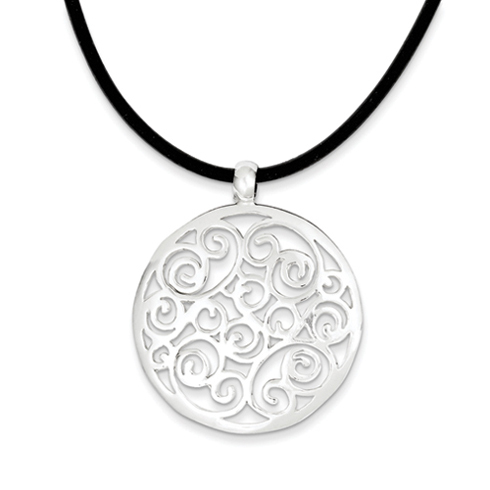 Sterling silver round scroll pendant dangles from a black 18 inch rubber cord. Lobster clasp. Measures 1 1/4 inch tall by 1 1/4 inch wide. Weight: 9.5 grams.